CHARLOTTE, N.C. - A North Carolina jury has deadlocked, resulting in a mistrial in the case of a white police officer charged with voluntary manslaughter in the death of an unarmed black man. Judge Robert C. Ervin declared a mistrial Friday afternoon after four days of deliberations. Defense attorney George Laughrun called the jury "hard-working," but nonetheless called for the mistrial because jurors had met for 19 hours and were at an impasse. Prosecutors had asked Ervin to urge the jury to continue its deliberations. 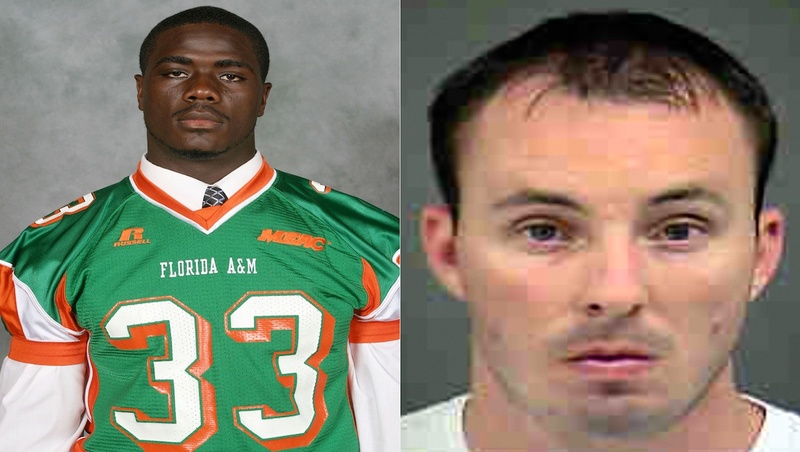 Officer Randall Kerrick was charged with voluntary manslaughter in the September 2013 shooting death of Jonathan Ferrell. Kerrick is suspended without pay from the Charlotte-Mecklenburg police force. Earlier on Friday, the judge instructed jurors to continue deliberating the case when they told him they were deadlocked. The foreman said an initial vote taken was 7-5. The second vote, taken Thursday, was 8-4, and that was the same outcome when the jury voted again prior to entering the courtroom. Jurors have spent the previous two days asking the judge for material and testimony from the trial, which is wrapping up its third week. Charlotte Mayor Dan Clodfelter called for calm post-mistrial during a press conference Friday afternoon. Outside the courthouse, around a dozen protesters lay down in the middle of the street to protest the decision. Several shouted "No justice, no peace" at members of Charlotte-Mecklenburg Police officer Randall Kerrick's family as they left the courthouse. Police say Ferrell wrecked his car on the morning of Sept. 14, 2013, went to a nearby house and banged on the door, apparently for help. The resident inside the home called police, and three officers responded. Investigators say one officer deployed his Taser without apparent effect on Ferrell before Kerrick fired 12 shots, 10 of which hit Ferrell. Kerrick was the only officer who fired his .40-caliber semiautomatic service weapon.